I get up at 7.30 but my day really starts around 8.15 after the kids have gone to school when I have a calm breakfast on my own usually consisting of a Franco-British combo of toasted leftover baguette “tartines” with marmite, some fruit and a coffee. At this time of year I eat it outside on the terrace. 8.30 Next up I usually check and answer emails and update the Facebook page for my gite. I also check and reply to other social medias, link up to blog linkies etc. I take my laptop out on to the terrace and spend anything from 1-2 hours doing this. 9.30 There is always laundry to do, living with 3 sporty males and running a holiday rental. Every day I do at least 2 and often more loads. Our climate is good enough that for most of the year I dry everything outside in the sun and avoid using the dryer. 11.00 The gîte is very popular and for most of the year I have 2 changeovers a week. Today is one of those days and check out time is 11am so I go to check over the apartment and say goodbye to the guest. 11.30 While cleaning the gîte today I discover the septic tank is blocked so I call my husband who has to pop back from work to deal with it. It is not a pleasant job! This is one of the worst things about running a holiday rental and unfortunately it happens reasonably often. 13.30 Cleaning usually takes me 2-3 hours depending on the state the guests leave it in. Last job is to mop the floor. I haven’t had time to eat lunch…. 15.45 School pick up. I car pool with neighbours and today it’s my turn to pick up my younger kid and a couple of others from primary school. (My oldest at high school, he takes the bus and is fully independent). I go straight from the supermarket. 16.15 I put the finishing touches to the welcome basket for the next guests in the gîte and pick some flowers from the garden for them. Check-in is from 16.00 but today’s guests aren’t due till 17.30 so I’m in time! 17.30 New guests arrive (and get photographed!) I don’t usually record arrivals but today’s guests have stayed at Lou Messugo several times and I asked if they wouldn’t mind! As they’ve been so often I don’t have to explain anything to them, just welcome them in. 17.45 Time for another session on the computer catching up on admin, comments on the blog and other social medias. I have my phone on me all day for immediate answers to booking enquiries etc but I still like to sit down at my desk to deal with booking contracts and other details of running a holiday rental. 19.00 I’m off for a rare night out in Nice with a group of friends to watch the Euro football in the “fan zone” (official spectator area with giant screen and bars). Buses are free tonight as the match is in Nice (one of the host cities) so I take public transport. I grab a snack in the fan zone. On changeover days I often don’t get time to eat lunch. I get home around midnight and go to bed. Thank you Phoebe for this peak into your French life. If you haven’t already seen them, please take a look at the other posts in this series A Day in My Expat LIfe; and do get in touch if you would like to feature. 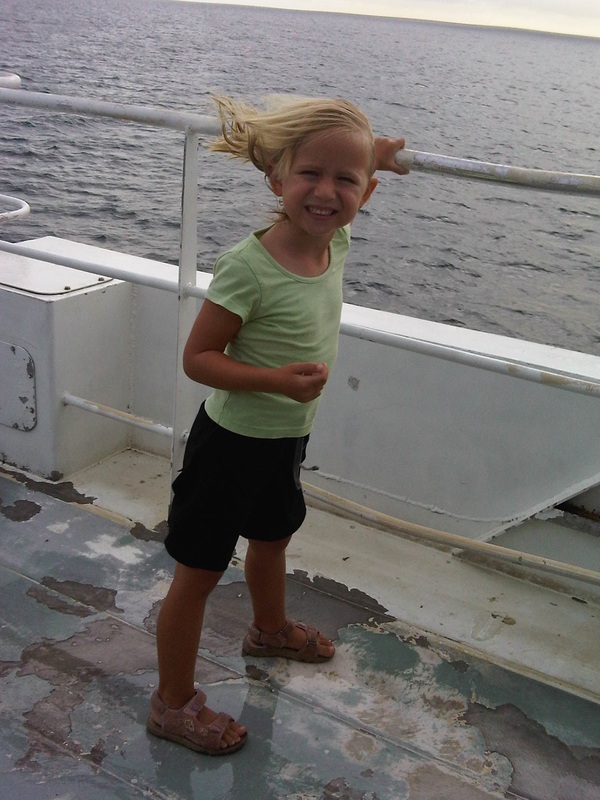 If you’re a regular reader of this blog, you will already have come across Phoebe. An old school friend, Phoebe and I share a love of travel and a similar childhood, both daughters of British diplomats. A few weeks ago, she wrote this guest post for me, about her Memorable Journey in Mongolia. Now it’s my turn to guest blog for her. 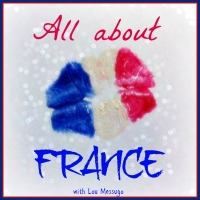 Phoebe’s blog is French themed. So I had to come up with something French to fit in. I have visited France, several times, but not for a long time and I can’t say any of my visits were interesting enough to make a post out of. My parents lived in Cameroon, which is half Francophile. But it wasn’t really enough. Then I remembered, when we were living in St Lucia we had visited Martinique, one of the French ‘dom toms’ – also known as French Overseas Departments and Territories. Unlike our British overseas territories (eg Cayman Islands, Monserrat, Gibraltar), the French dom toms are actually France. The people living on them have the same rights as people living in France. They are part of the EU and they use Euros. So there was certainly something very intriguing about visiting the island. Although this is a post about a beautiful Caribbean island, with golden beaches and aquamarine sea, I won’t be talking about those things. I’ll be ignoring the sound of the waves lapping gently on the sand and the tall palm trees swaying in the tropical breeze. Nope, those things aren’t for me. Instead, I’ll be discussing French cheese and the play area at the local McDonalds restaurant. I know that sounds strange, but stick with me on this. To read the rest of this post, click here. Or, strangest of all, Clipperton Island. If you have then drop Phoebe a line over at her blog, or leave me a message below and I will pass it on. So my last post in this series, about Gibraltar, went a bit crazy. It was shared 456 times on Facebook and viewed 2,474 times. This makes it by far and away my most popular post – but I think it says more about the people of Gibraltar and their loyalty towards their Rock than it does about my blog. This time, I have something a little different – a post about a small village in France. But the contributor, Jacqui Brown (who blogs over at French Village Diaries), couldn’t be any more enthusiastic about her “small place” – after reading this, I was ready to pack ma valise, get in un voiture and head over to the other side of La Manche to join her. First of all, tell me a bit about your small place. My small place is a rural village in the west of France, about an hours drive from the Atlantic Coast. It has just under four hundred inhabitants, a boulangerie with sub post office, a hairdressers (from my observations there are as many hairdressers as boulangeries in France), a church, a library and not a lot else, except a great community spirit. What are the good, and not so good, things about living there? The good things are definitely the people. From the very beginning, almost eleven years ago, they have been welcoming, understanding with my language (or lack of it) and always encouraged me to get involved. I really feel I have become part of the community. Living in a rural area has meant that as a family we now have a much more outdoor lifestyle than we had in the UK. We are very lucky to be surrounded by open countryside, farm tracks and quiet roads, which is perfect for walking and cycling, especially when the sun is shining. 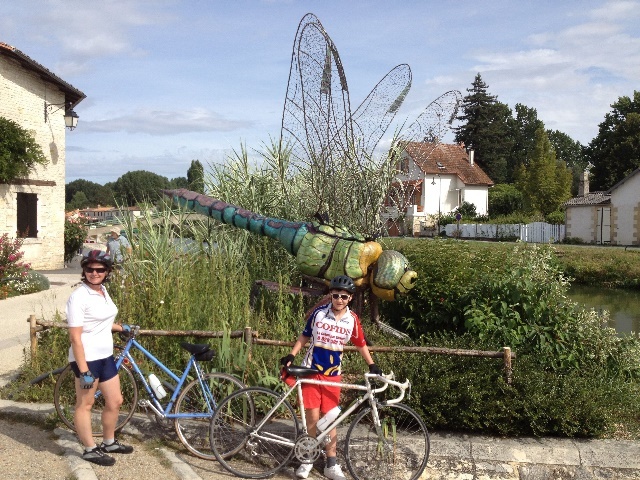 We now cycle over 2000km every year, exploring the back roads and village bars of rural France. The lack of traffic has also given our 14 year old son more independence here than we would have allowed him to have in the UK. He often takes off on his bike or walks the dog without us. The downside of rural life is that everything is a drive away. Whether it is shopping, an appointment at the doctor or a music lesson, nothing is available on our doorstep. What do you find to do, to occupy yourselves, in your spare time? It has always been important to me to get involved in our community and from the start I have volunteered and made the effort to say yes whenever I was asked to help out. This led to joining committees which in turn led to being elected onto the village council a year ago. This keeps me busy, but I also write about our life on my blog http://www.frenchvillagediaries.com and I am a passionate reader of books on a French theme. I have reviewed almost two hundred books and am often contacted by authors and publishers to review and help promote their latest publications. 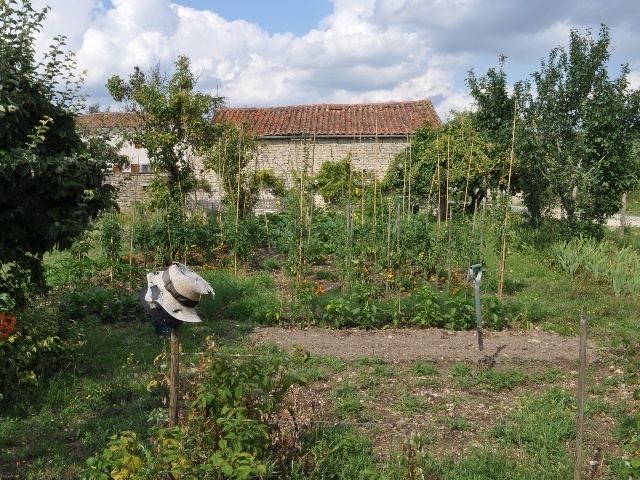 I am also a gardener, always trying to keep one step ahead of the weeds in our veggie garden and I love cooking and preserving the potager vegetables and fruit from our orchard. How easy is it to “get away” and where do you escape to? Do you feel the need to escape? I’m very happy with my calm, quiet village life. I hear more birdsong than car horns and if I see traffic on my daily dog walk it is more likely to be a tractor than a traffic jam. However, every now and then it is lovely to get out and about somewhere different. My perfect escape is to head to La Rochelle on the Atlantic Coast. It may only be an hour and a half away, but it is like another world. The people look different and wear different clothes, the shops sell different styles to those in our local town and stopping for a coffee and a spot of people watching is one of my favourite things to do. As my husband regularly uses the airport at La Rochelle I’m lucky to be able to get my chic fix a couple of times a month. What is the local community like? Have you felt welcomed? I have felt welcomed, but I think this has to do with the fact that I have always put myself forward to help out. This started with the village magazine, then helping to organise events and run the library and now I’m one year into a six year term on the village council. In the beginning I was way out of my comfort zone, in a village where everyone knew each other and my level of French was very poor, it was hard, but it was worth it. I’m lucky to live somewhere that already had a group of energetic people happy to put on events, as getting involved by helping out is easier than trying to organise something from scratch. Living in a rural village that doesn’t have an active social scene can be lonely and feel very isolated. What advice would you give to someone thinking about moving to your village, or somewhere similar? Do your homework and research your new area, as a great summer location may be quite desolate out of season, especially in a rural area. Learn the language if you are moving abroad as even if you aren’t fluent you will find it easier to get involved in your new community if you can speak a little of the language. The more involved you get the quicker your language will improve. If you are moving to a French village make sure you pop down and say hello to the Maire (mayor). He (or she) really is a very useful person to be on friendly terms with and should be able to help you with the official and administrative side of settling in. Can you tell me a bit about yourself (and your family) and why/how you came to be living in your village? We are an English family with one son who moved from a town in the south of England to a village in France in the summer of 2004. I was an accountant, commuting to London on a daily basis and my husband is a freelance IT trainer and consultant whose work has always taken him away from home. Family time together was rare, but my husband’s work means that as a family we can be based anywhere in Europe with good airport access and here we have six within a two hour drive of home. France was always our holiday destination of choice and with cheaper property prices it was possible to choose to live a simpler life, working fewer hours, earning less money, but have less expenses and more time together as a family. Whatever happens in our future, nothing can take away the fact that for the last ten years our 14 year old son has had both parents at home for the two months of his school summer holidays. 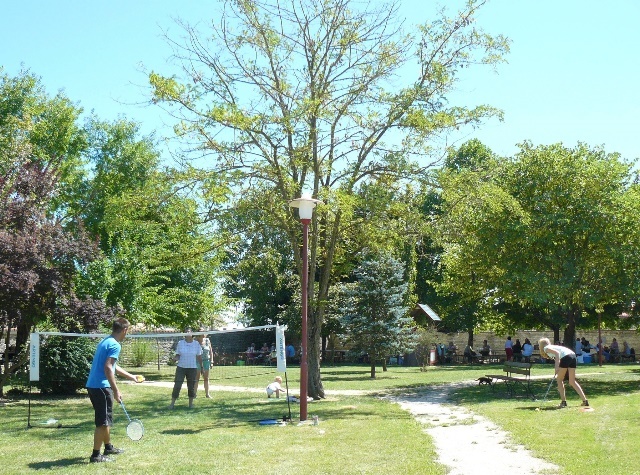 Thank you to Jacqui for this insight into life in your small village in France. Anyone joining me in ma voiture? Don’t forget to read the earlier People Who Live in Small Places posts – Gibraltar and Mayotte; and please let me know if you live somewhere small and would like to feature in this series. So, I’ve travelled a lot. I’ve lived in many countries on many continents and feel I know the world reasonably well. To the point that we almost came fourth in the school PTA quiz because I knew most of the answers in the geography round (and we played our joker). But today I learned there is a country in the world I had previously never heard of. Today I came across Mayotte. Okay, maybe country is stretching it a bit because according to Wikipedia it is in fact an “overseas department and region of France”, off the coast of Africa. Why have I never heard of this place? Granted, it’s pretty small (pop. 212,000 according to Google facts), but I thought I was clued up on the world. What else do I now know about Mayotte? It’s capital is Mamoudzou, it has 93km of highway, of which just 72km are paved, and “approximately 25% of the adult population, and five times as many women as men, enter trance states in which they believe they are possessed by certain identifiable spirits who maintain stable and coherent identities from one possession to the next” (more Wikipedia info). 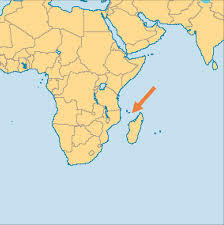 The reason I heard about Mayotte today was because someone from that tiny island visited this site. I am now a little bit fascinated by this country – it’s not too far from South Africa, maybe we’ll even get to go there one day. If you’re my visitor from Mayotte please come and say hi, I’d love to hear more about your home. And in the meantime, I’m on the look out for more unknown countries….